William Thomas “W. T.” Henry died Monday, January 28, 2019, at his residence. He was born to the late Jeff and Ludie Gray Henry in Colquitt, GA. He graduated from Miller County High School in 1956, where he lettered in all sports. He attended Young Harris College and Troy State University on basketball scholarships where he earned a bachelor’s degree in education. He earned masters degrees in physical education and administration supervision from Florida State University. W. T.’s true passion and calling was working with young people. His career in education spanned forty-six years in both public and private schools. He taught math and coached basketball, baseball, track, and football at Arlington High School, Damascus High School, Miller County High School, and Albany Junior High School. He then became principal of Miller County High School, became the founding headmaster of Southwest Georgia Academy in Damascus in 1970. For a short time he ventured outside education and worked in the peanut industry. Realizing he was a fish out of water, he moved his family to Albany to become the DWS Lower School Director giving him the opportunity to reenter his love for education. After two years he became the headmaster of Deerfield-Windsor School from which he retired after 20 years. Since that time, he could be found greeting customers and wiping tables at Harvest Moon, playing with his grandchildren, and standing on the sidelines at any activity in which they chose to participate. 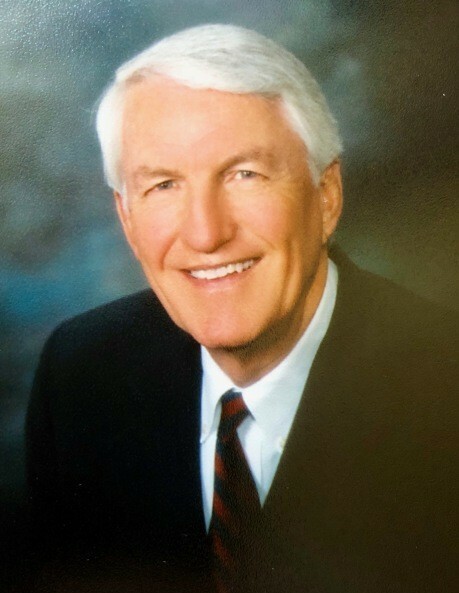 A former President of Georgia Independent Schools, W. T. also served on the Southern Association of Colleges and Schools, the Georgia Accrediting Commission, and was on the State Board of Education, and other boards, including First United Methodist Church. He is survived by his wife Ruth Everson Henry; children Lea H. and Greg Manning, Bo and Kate Henry, and Kristin H. and Adam Culpepper; grandsons Caughey and Henry Culpepper and Hank and Sam Henry; brother and sister-in-law Ferrell and Arleeta Henry; mother-in-law Martha Everson; sisters and brothers inherited through marriage Jean E. and Terry Lambert, Bernard and Carole Ann Everson, and Larry and Kim Everson; nieces, nephews, great nieces, great nephews, and numerous cousins, all of whom loved “T” dearly. There will be a Celebration of Life on 2:30 PM, Thursday, January 31, 2019, at First United Methodist Church, Albany, GA, followed by the visitation from 4:00 to 6:0 PM in the W. T. Henry Gym at Deerfield-Windsor Upper School. In lieu of flowers, please make memorials to Deerfield Windsor School, P O Box 71149, Albany, GA 31708; Southwest Georgia Academy, 14105 GA Highway 200, Damascus, GA 39841; or First United Methodist Church, 307 Flint Avenue, Albany, GA 31707.